Working on a custom order and stalling while I figure out what to use as the backing. It should be vintage, should be floral, but should it be a certain color? Might have to go shopping in the stash. Lovely. 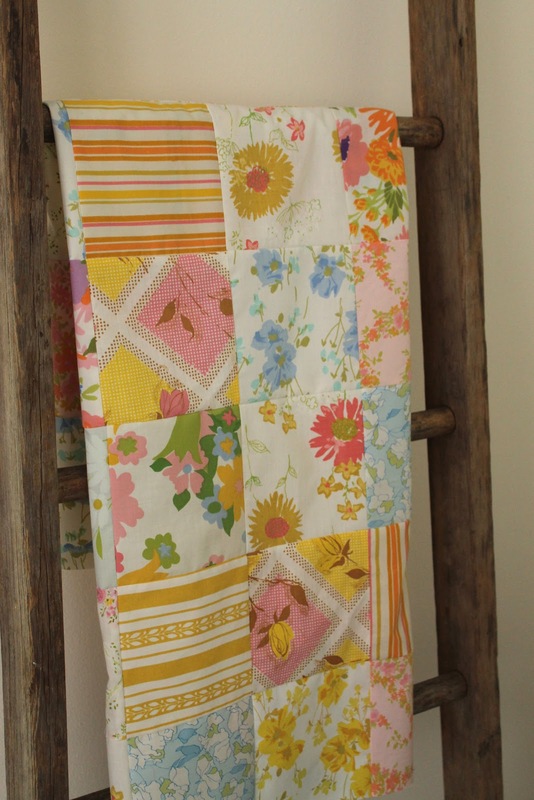 Anything made with vintage sheets are just adorable. 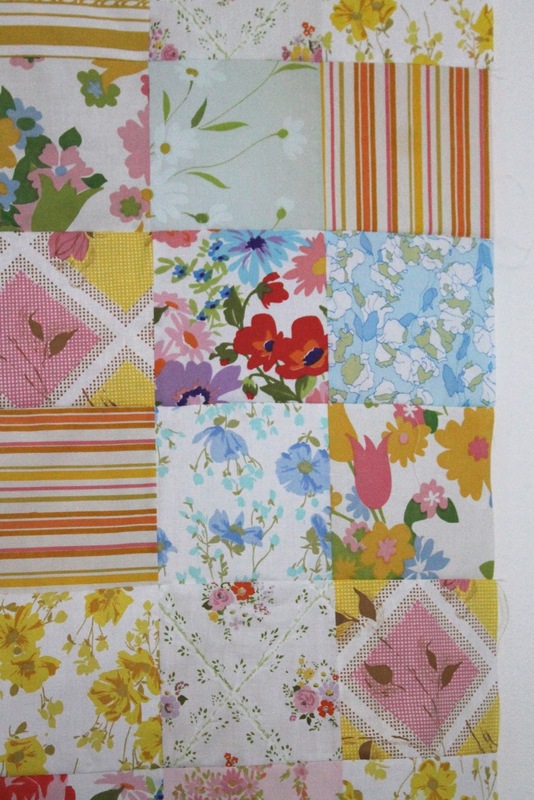 I am sure the receiver will be happy no matter what you choose for the backing. What a great looking quilt. I look forward to seeing what you choose as a backing. This is really pretty, so bright and cheery. I think stripes would look good on the back or floral anything really it's already lovely. 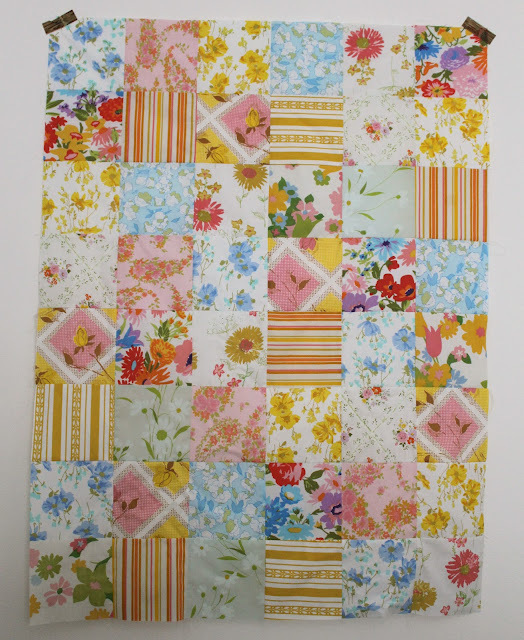 I purchased 5 tubs of material at a garage sale where a couple of ladies were selling their deceased mothers material...I was rather disappointed in finding several sheets....didn't realize you could make quilts with them! Thanks!